A dense collection of labyrinthine streets, bustling tavernas, and tiny museums radiates to the sea in ld island charm. Among the tightly packed buildings of Old Naxos, stone archways curve over streets, and trellises of flowers drape over the whitewashed buildings and Venetian ruins. In Sanoudos you will receive a friendy, warma and familiar atmosphere. Always feeling like home under Maria's personal care and interest. Maria will make you feel as friends and not as customers. 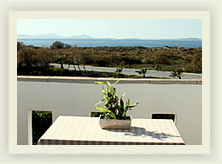 In the perfectly peaceful lounge area you may enjoy the Naxian famous breakfasts prepared and served daily by Maria. 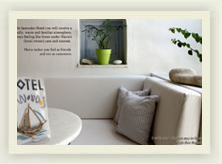 is a marvellous holiday complex located in the center of Naxos, Naxos Town (Chora). 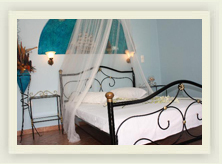 Katerina Roza Studios offers 4 two bedroom apartments, able to host from 2 up to 5 persons respectively and 16 fully equipped studios. 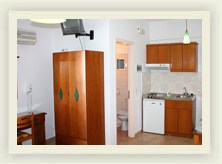 All units include offer private bathroom, fully equipped kitchen, T.V, A.C and sunny - sea view balcony. Breakfast is served in our sunny veranda and it is included on the price. Free transfer service from/to the port/airport is provided to all customers. 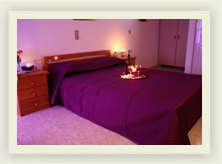 Special rates and discounts in case you contact with us directly. Check in 24 hours a day. 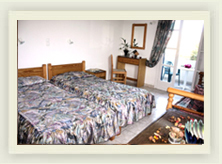 Panormos Studios is a marvellous holiday complex located in Saint George Beach, on Naxos Town, the very picturesque capital of Naxos Island. With a wondeful view of the Aegean Sea and its friendly hospitality, Panormos Stuidos is one of the most inviting places to stay near Naxos Town. One of the most attractive features of the Panormos Studios is its close proximity to the stunning Saint George beach with their stunning view of the deep blue Aegean Sea. 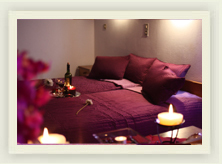 The concept of Panormos Studios is based on offering very personalized services to satisfy and to surpass your expectations. Guests will find their appartments and studios to be lavishly decorated, while at tahe same time simple and easy on the eye, providing unprecedented comfort and style. Unique and discreet, Naxos Town Studios Mavromatis is located a few metres away from the traditional settlement of Chora (Naxos Town) , built 200m from the sandy beach of Saint George . 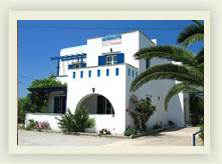 Naxos Edem Studios are located near the center of Naxos Town and Saint George Beach. 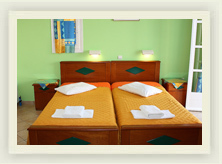 Here you may enjoy the sparkling sea, the golden bay as well as marine sports. mobile: +30 694 229 1210 ή or fax at +30 22850 23221. 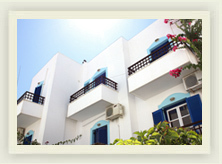 In the heart of Naxos Town, next to all amenities and in a quiet area are SVP studios. 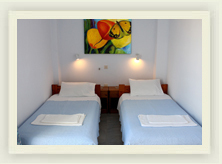 They are situated in a very convenient location, just a few minutes walk from town's main street. 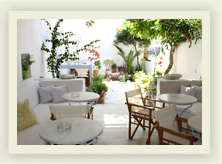 The atmosphere is authentic Greek, which means genuine hospitality, family atmosphere and friendly anvironment. 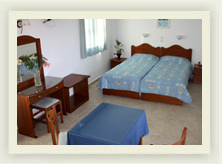 In the reception and in the common areas, you will really feel you are in a Greek Island.The rooms are very spacious, with air condition, private bathroom, refrigerator, satellite TV and fully equipped kitchen.SVP Studios are ideal for families and for those who wish to stay in a very quiet area, just a few minutes walk from the centre.